Themes for middle-school are being used as a marketing strategy according to some education and media pundits. More and more, they say, parents are demanding the right to send their children to the public school of their choice. The goal, of course, is to find the school that will offer the best education. If parents are displeased with schools that don’t fulfill their promise to educate, they want the choice to look elsewhere. As a result, school districts are rapidly being changed from the old neighborhood zones to areas of controlled choice. In some cities, school boundaries have been completely eliminated. Since schools get their funding based on enrollment, it has forced many of them to begin marketing campaigns to attract students. And the pundits story holds that marketing school themes is proving to be very successful. 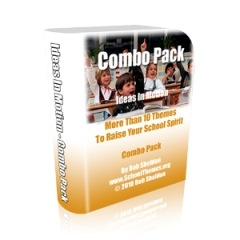 Themes for Middle School – Choose This School! School themes may address a variety of programs both academic and extracurricular. Parents will naturally want to choose those schools that are both academically sound and also offer other activities that their children want to participate in during the school year. This offers a challenge for the middle school to present their programs in such a way that it attracts the right mix of students. Themes have proven to be most effective when they address key parent concerns. Decorations, classroom themes, ribbons, stickers, banners, fundraising, incentives & awards, school supplies, mascots, pencils, temporary tattoos and more. Yes, it's all here for teachers, principle's, PTA's, PTO's and parents. Since students apply to and choose the school they wish to attend, themes for middle school have become crucial for delineating differences. Themes can describe school offerings that make them unique. These can include specialized fields of study. Or, themes can promote curriculums that are different from standard study programs. Themes can also focus on student character development including responsibility and decision-making. Program features can also be expressed in themes. These features can include required parental involvement or discipline. Middle school themes can also promote unique programs for special needs students. When parents and students have a choice of schools, themes can contribute to their decision making. Your theme speaks volumes about the school and its programs. Themes can be so focused as to immediately narrow the field of choice. For example, parents with exceptionally gifted children will look for schools with themes promoting honors classes rather than sports. Special student interests, vocational interests, varying academic programs, convenient locations, after-school programs, military programs, school culture and atmosphere can all be themes for middle-school. Having a choice is always a good option, but for schools to survive in certain areas, they are going to have to be able to market their strengths. 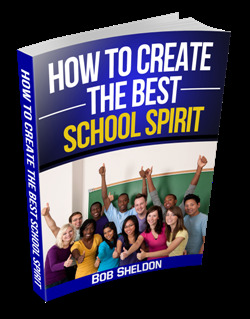 Using themes for middle school promotion is the most efficient marketing tool. 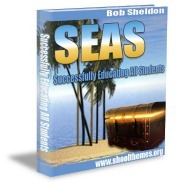 Choose a theme and use it as a springboard to attract the students that will best fit your school. Leave Themes for Middle School and Get Your School Theme!